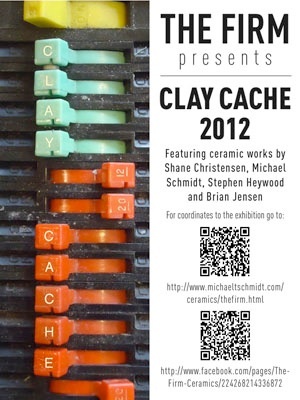 Exhibition featuring Shane Christensen, Stephen Heywood, Brian Jensen and Michael T Schmidt. The FIRM “Collaborative Energy” 2013 exhibition at NCECA in Houston, TX. Spring Street Studios, www.springstreetstudios.info, 1824 Spring St, Houston, 713-862-0082. March 18 - 23. 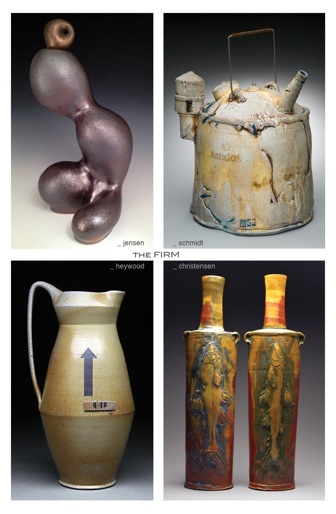 Opening Reception - Friday March 22, 6-9PM. Wed 10am-5:30pm, Thu 10am-5:30pm, Fri 10am-9pm, Sat 1pm-5pm, Sun-Tue Closed.